A purposeful yet elegant yacht, designed from the ground up to include excellent accommodation, diving and expedition facilities that we can only find on big yachts. 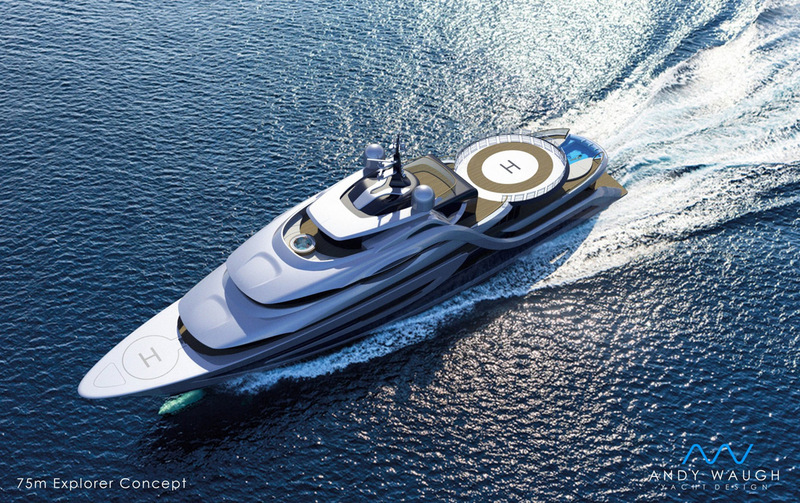 We’re talking about New Expedition Superyacht Concept By H2 Design. Beside its usual spaces (2 VIP cabins and 4 guest cabins) a high-volume 75m explorer yacht features a full size, permanent helipad and heli-garage able to accommodate the Eurocopter 135 and on the owner’s deck beneath an infinity pool measuring 10m long, 4m wide and 1.5m deep. She also boasts a fully equipped spa with sauna, steam room and massage room, as well as a tender garage housing 2 11m tenders, rescue boat and jet-skis. 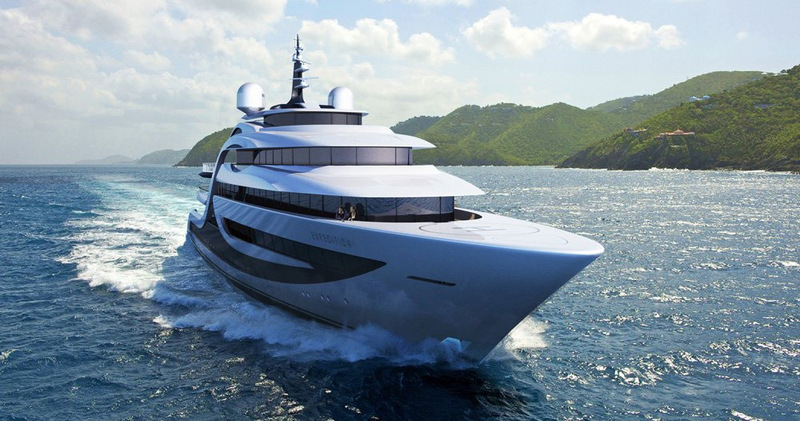 “The initial specification was developed in collaboration with a potential client whose high expectations inspired the interesting arrangement of the yacht,” explains consultant Andy Waugh. With a range of 5000 nautical miles at a cruising speed of 15 knots ‘Expedition’ fulfils all aspects of the client’s stringent specification.